Wendy Lappin Barragree enjoys an active and diverse civil trial practice, which focuses on litigation defense involving medical negligence, automobile and premises liability, employment, employee benefits, and casualty claims. In her career, spanning more than two decades, Ms. Barragree has successfully defended employers, medical providers, corporations, business owners, and individuals at both the major jury trial and arbitration levels in federal and state courts. She has achieved favorable results for her clients through summary judgment, jury verdict, and arbitration award. In her years as medical malpractice defense counsel, Ms. Barragree has represented physicians and practice groups in a multitude of specialties, including neurosurgery, obstetrics, orthopedics, neurology, family practice, cardiology, and surgery, in a wide variety of cases filed and tried in both federal and state courts, and she has extensive experience in the negotiated resolution, mediation and arbitration of such cases. 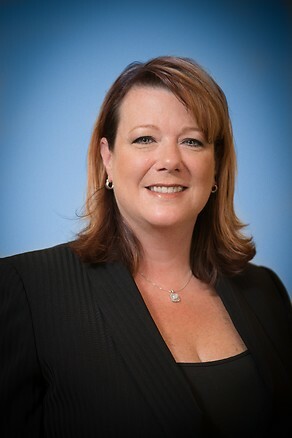 In representing a large automobile and general liability insurance company and its nationwide subsidiaries, Ms. Barragree has successfully litigated a multitude of matters involving third party liability, personal injury protection, property damage, uninsured and underinsured motorist coverage, and bad faith. Ms. Barragree has also provided coverage opinions involving material misrepresentation and bad faith in a variety of states. Ms. Barragree has obtained numerous successful results by way of arbitration and alternative dispute resolution in her representation of an international hospitality client. In the employment context, Ms. Barragree has litigated multiple cases in federal and state courts involving race, age, gender, sexual orientation, and disability discrimination to successful conclusion. Specializing in cases involving catastrophic damages, Ms. Barragree has both analyzed and tried cases in which her involvement focused on the analysis, mitigation, and expert defense of complex personal injury claims, including extensive and complicated injuries and medical care, life care plans, past and future lost earnings and earning capacity, Medicare/Medicaid and other liens. Ms. Barragree’s skill as a litigator is recognized by judges, her defense peers, and opposing counsel. The firm’s clients rely upon Ms. Barragree for her ability and dedication to providing the highest quality defense while meeting their goals in budget management and cost-containment.